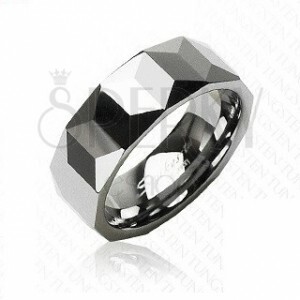 Shiny tungsten band, cut geometric shapes - trapeziums and triangles, darker silver colour. By buying this product you can collect up to 7 points as a voucher of 1,40 €. Your reward points. 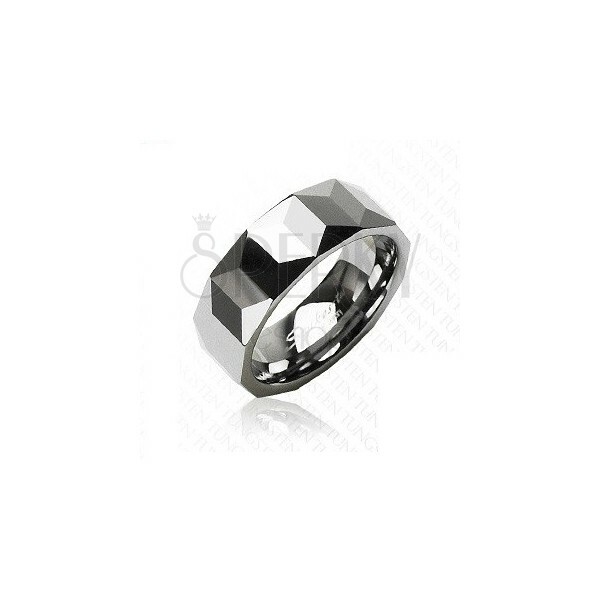 Tungsten band has a mirror-polished surface in a darker silver hue. The whole ring surface is decorated with cut areas in the shape of triangles and trapeziums.